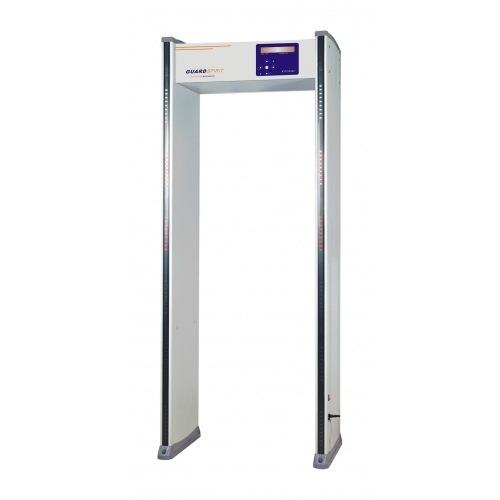 Walk Through Metal Detector Gate | Adams Fire Tech (Pvt) Ltd.
We offer multi-purpose multi-zone walk through metal detectors. These can be used for weapons detection, passenger screening at airports or train stations, visitor screening at courthouses, federal and provincial buildings, police stations, prisons, military installations, access control in conferences, public buildings, schools, colleges, stadiums and concerts, employee screening at factories, loss prevention (theft control) in different industrial applications as well as screening in hotels and restaurants. High precision 8 Zones allow more accurate detection. The indicator light automatically shows the interfering signal from the environment. Each zone can be independently set with 0-99 sensitivity range. System is sensitive enough to detect even clip-sized metal. Intelligent automatic recording of alarm times and number of people passed. With the unique infrared setting, it has strong omission proof and anti-interfering capacity. Cipher Protection prevents malicious config changes by unauthorized people. It is harmless to pacemaker, pregnant woman and magnetic storage media. It is equipped with LED indicator lights as high as human body at both sides of the gatepost. Scan result is clear to understand at a glance. Gate is slip proof, waterproof and damp proof.